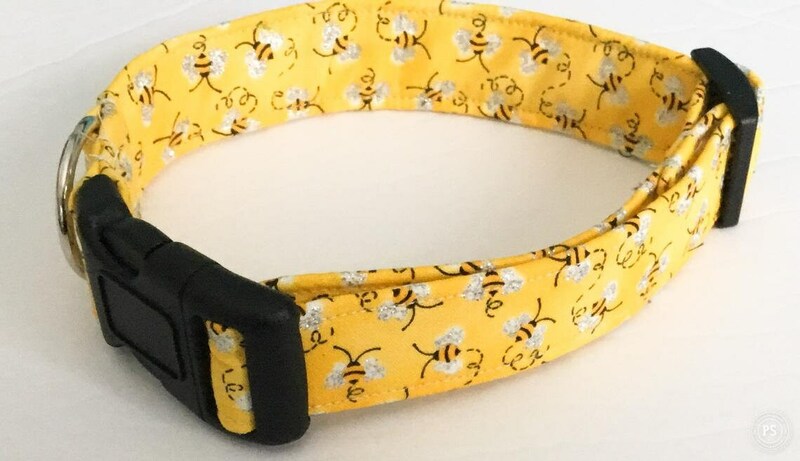 This Yellow and Black Bumble Bee Dog and Cat Collar displays a sparkling yellow background with bumble bees throughout trimmed out in black, silver and white trimming. This collar can be purchased in a buckled or martingale style. A matching 5 ft leash and metal buckle upgrades are still available. Black hardware was used when making this collar.A matching flower is shown in the images, however, the flower is not included in the price.